scuba unless otherwise noted. The main advantages of scuba are mobility, depth flexibility and control, portability, and reduced requirement for surface support. 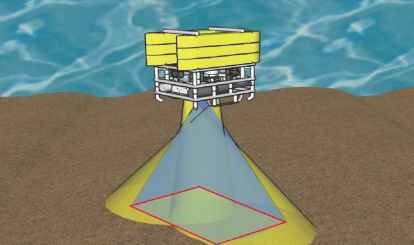 The main disadvantages are limited depth, limited duration, lack of voice communications (unless equipped with a through-water communications system), limited environmental protection, remoteness from surface assistance, and the negative psychological and physiological problems associated with isolation and direct exposure to the underwater environment. 6-7.2.1 Mobility. The scuba diver is not hindered by bulky or heavy equipment and can cover a considerable distance, with an even greater range through the use of diver propulsion vehicles (DPVs), moving freely in any direction. However, the scuba diver shall be able to ascend directly to the surface in case of emergency.